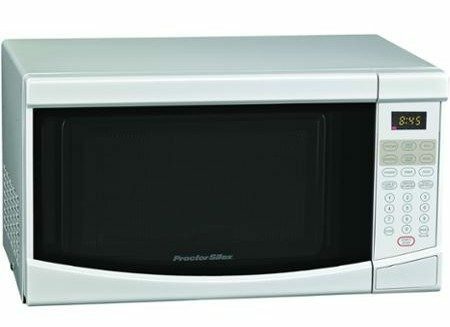 Proctor Silex 0.6 cu ft Microwave Oven Only $29! You are here: Home / Great Deals / Proctor Silex 0.6 cu ft Microwave Oven Only $29! Head over to Walmart.com for a great deal on a microwave! This Proctor Silex 0.6 cu ft Microwave Oven is only $29! Available in black or white this oven has 10 adjustable power levels, 6 auto cook buttons and defrost cycles! Cleaning is a breeze with the removable glass turntable. FREE in store pickup or get FREE shipping on orders over $35!